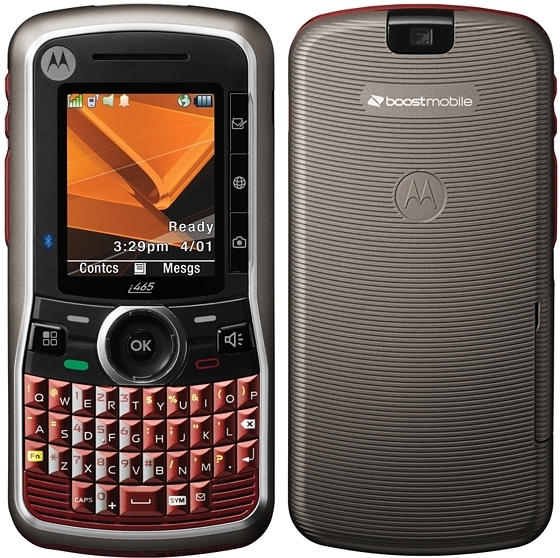 Boost Mobile has just launched a new handset ideal for texting freaks, Moto Clutch i465. Using this phone, you’ll take full advantage of Boost Mobile’s unlimited text messaging service and you might also want to know that the new handset comes with a walkie talkie feature. This iDEN device will be available for $129.99 with no contract, but you’ll probably pair it with the $50 Boost Monthly Unlimited plan, that includes nationwide talk, text and walkie talkie. Motorola Clutch i465 features a full QWERTY keyboard, Bluetooth, a camera with 4x zoom and video capture, GPS, speakerphone, voice activated dialling and wireless web.